The Upper Peninsula has over a dozen downhill skiing areas with vertical drops over 900 feet and ski runs as long as 8,300 feet. Combine a typical season lasting from Thanksgiving to April with up to 300 inches of lake effect snow each year and you get some pretty dang good skiing here in the U.P. along the shores of Lake Superior. Whether you’re skiing the runs at Marquette Mountain, hitting the rails and other features of Mt Ripley or ripping it up at Mt Bohemia, you would be hard pressed to find better snow or a better time anywhere in the Midwest. And don’t forget to stop by the shop and check out the latest alpine equipment from brands like Rossignol, Volkl, K2, Blizzard, Tecnica and Marker. Need some wax? How are those edges looking? We can help you out with that also. The ski hill is located a just few miles south of Marquette. Popular from the start, the ski area opened in 1957. It was originally known as Cliff’s Ridge but was changed to Marquette Mountain in 1982. It is host to alpine race events for numerous clubs, as well as their own race program. The hill has a summit elevation of 1357 ft and a vertical drop of 600 ft . 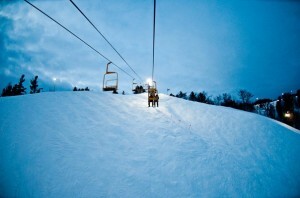 It has three chairlifts and a rope tow, snow making, night skiing and receives an average of 210 inches snowfall annually, the grateful recipient of lake effect snow from nearby Lake Superior, prominently visible to the north and northeast. 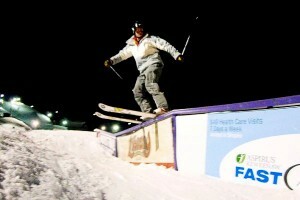 Don’t forget to complete your visit by stopping in at the Ski Hall Of Fame located in Ishpeming! Historically the area with the highest snow concentrations in the Upper Peninsula, the Keewenaw Peninsula has two ski areas. Mont Ripley is one of them and is located in Hancock at base of the Keewenaw Peninsula and is operated by Michigan Technological University. 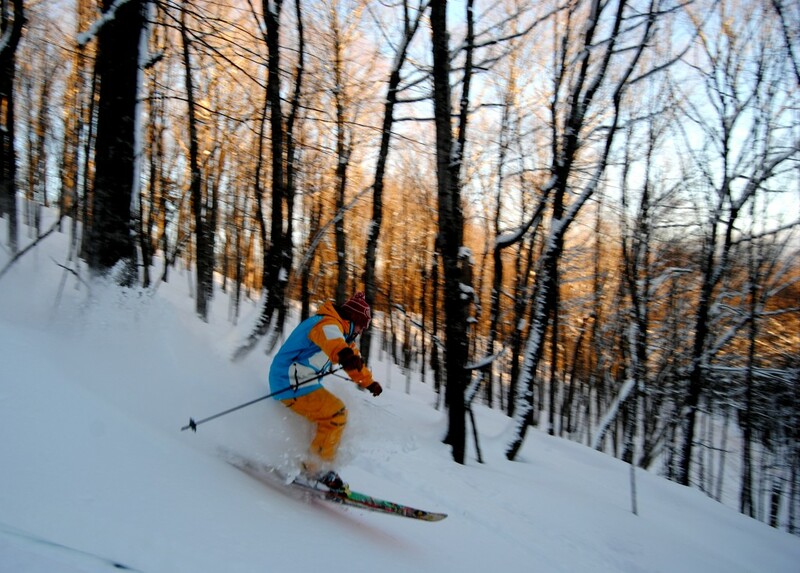 Beginnners as well as advanced skiers will find Mont Ripley ideally suited to their needs. 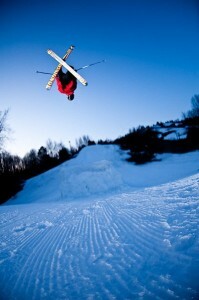 A 423-foot vertical drop provides plenty of challenge for the advanced skier, while beginners can take advantage of the largest bunny slope in the U.P. 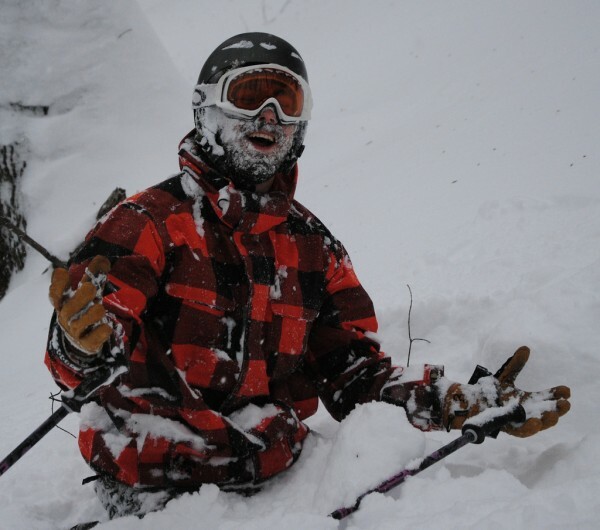 With an average snowfall of 273 inches there is plenty of soft snow to go around, and skiing the trees with knee to thigh deep powder is more common than you might think. Mt Bohemia has some of the best skiing in the midwest. With 900 feet of vertical, almost 300 inches of snow each season Bohemia is one of the most challenging and fun places to ski in the Midwest. There are only two intermediate runs and nothing for the beginner. And due to the lack of grooming, conditions are dictated by mother nature. Fortunately, mother nature is usually quite kind to this area during the winter. Don’t forget to pick up your season pass on the first Saturday each December. On this day only a season pass can be had for only $99. The Porcupine Mountain Ski Area is another one of those places that no ones ever heard of and we hope no one ever does. With 787 feet of vertical, 42 runs and 200+ inches of snow the skiing here is a lot of fun. The terrain here is a little gentler and more appropriate for the beginner and intermediate skiers. However, don’t let that scare you away. The tree skiing here is spectacular and there is enough terrain that even the most accomplished skier will be able to enjoy themselves. John Dee.com is a free for view website dedicated to John’s love of snow and his life in the Upper Peninsula of Michigan. His profession is that of a private meteorologist that provides custom weather forecasts to persons and/or corporations requiring a high end forecast for their specific needs. In January of 1999 he was able to live out a dream and move my offices to the Upper Peninsula of Michigan.